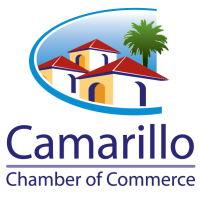 Are you trying to sell your house in Camarillo? If so, “we buy houses in Camarillo” is our motto. We want to give you a fair, all-cash offer on your house, no matter the condition, location, size, or price range. Since we buy houses with cash, we can close in as little as 10 days, or on your timeline. If you want to get rid of your problem property in a hurry, you’ve come to the right place. If you need to sell your house quickly, you may have found that it is not as easy as it seems. There are many real estate agents out there who make empty promises that they cannot keep (my personal favorite is when they guarantee a price that they can sell your house for). Even if you try to sell the house yourself without an agent, you will find a lot of “cash buyers” who cannot close on your house and will just waste your time in the process. You may even be to the point where you are beginning to think that it’s impossible to sell your Camarillo house fast. Dream Home Property Solutions, LLC is a local company and we buy houses for cash. It doesn’t matter if you need to sell your house because of job loss, impending foreclosure, divorce, bankruptcy, or any other reason. Our company was founded to help all Ventura County residents with any and all of their real estate needs. We are glad that you found our website, because we are looking to buy properties throughout Ventura County. We will pay you cash and can close as quickly or take as much time as you need. If you’re interested to learn more about how we can buy your house for cash, you can fill our the form at the top of the page, send us an email to Info@DreamHomePS.com, or give us a call at 805-250-8335. 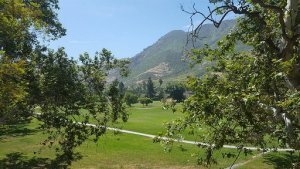 Why Would I Want To Sell My Camarillo House Quickly? Job loss – If you’ve recently lost your job, you may not have the ability to keep up with your monthly payments for a long period. Even if you own your house free and clear, there are still things like taxes and HOA fess that need to be paid. We can buy your house directly from you and make those monthly payments go away. We can even buy your house on terms and give you monthly payments instead of one big lump sum. Facing foreclosure – Foreclosure is one of the top reasons Ventura County residents find themselves needing to sell quickly. Many of these homeowners have equity in their homes and are in danger of losing that equity to foreclosure. We can either buy your house directly from you or work with your lender to stop the foreclosure process and then assist you with placing your house on the market. We work with each individual client to assess their situation and come up with several options to keep you from losing your home. Rental properties – If you’ve ever owned rental properties, you might know how much of a nightmare it can be. Hopefully you have had great tenants, but if not, you know that problematic tenants can be nothing but an ongoing headache. Whether you own a house that has been completely destroyed by tenants, or want to sell a rental property with existing tenants, we want to buy it. Or if you like the idea of keeping the monthly cash flow, we can buy your house on terms and continue the monthly payments to you. Inherited properties – Many people dream of inheriting a home from their rich uncle, but often times this process is not as pleasant as it seems. If the property has issues, you will then be responsible for the costs of any upgrades of repairs the home needs. Even if it is in perfect shape, you will still have annual property taxes that need to be paid. And don’t even get me started on the problems that usually come up if the house is passed on to more than one sibling. Selling your house in Camarillo has never been easier. No matter what your reason is for selling, we want to talk to you and buy your house for cash. We can help you with any of your real estate problems and strive to make it as easy as possible to do business with us. As a reminder, we can pay cash for your house and can close in as little as 10 days, or on your timeline. To get started, feel free to give us a call at 805-250-8335. If you’d prefer not to talk on the phone to begin with, shoot us an email to Info@DreamHomePS.com or fill out the form at the top of the page. We look forward to working with you.